PING is giving women more versatility and improved performance with its new G LE combo irons. The irons feature a thinner clubface and increased perimeter weighting for faster ball speeds from all impact points and more consistent performance on mis-hits. The hybrids, meanwhile, were designed to increase ball speeds, as well, while also generating higher launch conditions. Additionally, all of the clubs in the G LE combo set feature lighter swing weights, which makes it easier for players to get the clubface squared up at impact. 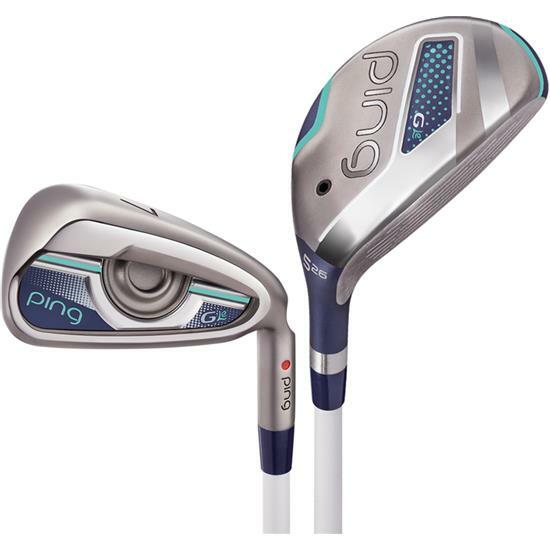 You are about to post a review for PING G LE Combo Set for Women based on your knowledge of its playability. This review will show up under all variations of PING G LE Combo Set for Women, including new, personalized, and custom logo.